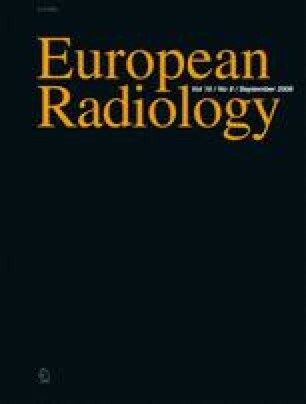 The aim of the present study is to determine imaging criteria for differentiating tuberculosis from primary tumors in the adrenal gland on contrast-enhanced CT. Non-contrast and contrast-enhanced CT features in 108 patients with adrenal tuberculosis (n=34) and primary tumor (n=74) were retrospectively assessed for the location, size, calcification and enhancement patterns. The primary tumors included 41 adenomas, 11 pheochromocytomas, 4 carcinomas, 3 lymphomas, 6 myelolipomas, 6 ganglioneuromas, 2 neurilemmomas and 1 ganglioneuroblastoma. Biochemical investigation was performed for all patients. Of the tuberculosis cases, 31 (91%) invaded with bilateral involvement, while 7 (9%) of the primary tumors invaded with bilateral involvement (P<0.001). Tuberculosis often showed calcification (20 of 34; 59%), whereas primary tumors infrequently showed calcification (6 of 74; 8%; P<0.001). Low attenuation in the center with peripheral rim enhancement was more commonly seen in tuberculosis (16 of 34; 47%) than in primary tumors (7 of 74; 9%; P<0.001). In the determination of tuberculosis, the highest sensitivity (91%) and accuracy (91%) were obtained with bilateral involvement, and the highest specificity (99%) was obtained with the contour preserved. In the determination of primary tumors using a combination of having unilateral involvement and being mass-like, the outcome was a sensitivity of 91%, specificity of 94% and accuracy of 92%. CT findings can differentiate tuberculosis from a primary tumor of the adrenal glands with high sensitivity and an acceptable specificity when combined with the endocrinological examination.